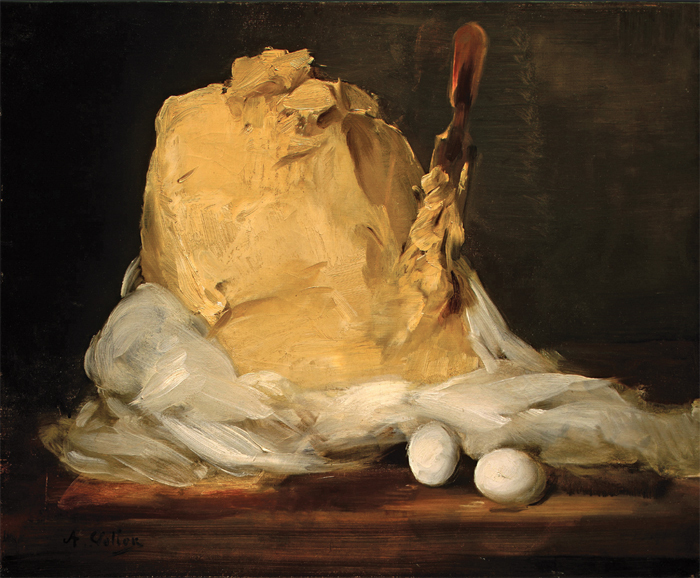 Antoine Vollon, Mound of Butter, 1875–85, oil on canvas, 19 3/4 x 24". The Modern Art Cookbook, by Mary Ann Caws. London: Reaktion Books, 2013. 256 pages. Caws’s volume is organized in the classic cookbook manner, starting with appetizers and ending with desserts and beverages, with related “spontaneous” snippets of novels, historical anecdotes, and reproduced artwork along the way. Its simple premiseone that I endorseis that reading and writing and cooking go together well and that the “reading kind of cook” (a person like Caws herself) finds great joy in bringing literary activities into the kitchen, close to the food and to all the utensils involved. Whether poem or recipe or some other kind of writing doesn’t matter, as long as the language is allowed to “impart a special flavour to the elements to be cooked with, a particular textual gusto.” As this is one of the ideas that governs my own professional life, I felt the pressing need to go one step further and to try out some of Caws’s proposed combinations of reading and making and tasting in a concrete way, so here I am in the kitchen. It’s still morning, and a good chapter to dig into seems to me the one on eggs, involving omelette recipes by Cézanne and Picasso (“Omelettes are the most royal of ways to serve eggs,” writes Caws). There’s also an exquisite excerpt by Henry James on the subject, followed by an Alice B. Toklas classic: “Oeufs Francis Picabia.” I do love Picabia, eggs, and above all butter, and I tried this recipe with some success years ago. And yes, it works perfectly againToklas’s “suave consistency” emerges fullyand I appreciate Antoine Vollon’s greasy painting Mound of Butter, 1875–85, on the adjacent page. I’m reminded of a line by one of Caws and my favorites, Colette, who revealed that fat for her was “vital felicitywarmth.” How right she was! From eggs, I somewhat randomly move on to Cézanne’s “Baked Tomatoes: Adapted for Madame Renoir.” They also turn out fine, made from juicy, sweet tomatoes (I write this in Nice! ), and the persillade (crushed garlic and chopped parsley) is superior. But in this case the accompanying picture, a snapshot by the author, showing a tomato seller at Carpentras market, doesn’t do anything for me. Which perhaps simply proves that the poetic effect produced by the transfer of meaning from one sense to another is something deeply personal (a fact psychologists have already established by studying people with so-called lexical-gustatory synesthesia, for whom certain words consistently trigger experiences of food). Synesthetic effects can be described, but not really shared. Our shells cracked on the plates. We can imagine the taste of Ezra Pound’s “poetic eggs,” prepare Frida Kahlo’s red snapper and van Gogh’s “Medley of Exotic Mushrooms with Hazelnuts,”and mix Picasso’s “Sangria of Els Quatre Gats” while looking at Joan Miró’s Bottle of Wine, 1924. Food and drink are everywhere in art; it seems all modern masters depicted them, from Manet to Warhol. The pages of Caws’s book are rich with great art examples, but she is an even more reliable authority and a more original guide among her chosen literary references. In addition to great poets, from Stéphane Mallarmé to Alexander Pushkin, it never hurts to have some support from M. F. K. Fisher, the true genius of modern food writing. The Modern Art Cookbook has nothing to say about the sociology of the kitchen or the emergence of the modern artist’s studio. It provides no real theory of sense perception, and even less exploration of the ways in which new technologies have at times displaced or broadened the expectations of our sensory capabilities. Perhaps that is saved for a postmodern cookbook. 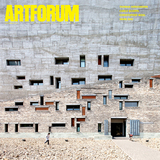 But since the author’s expertise concerns the historical avant-gardes and Surrealism in particular, we may expect that sequel from someone else. This book reminds us of the key position in the modernist imagination of things on the table: Words, sounds, brushstrokes can all be anchored in food and the community it fosters. For Caws, the senses seem relatively stable until they encounter each other. That is when great things happen, and oysters reach into the stars. Charlotte Birnbaum is the editor of the book series On The Table (Sternberg Press), which explores the relationship between art and food.